If there is space and budget available, having two or more clubhouses in your multiplay system adds another dimension to the playground. 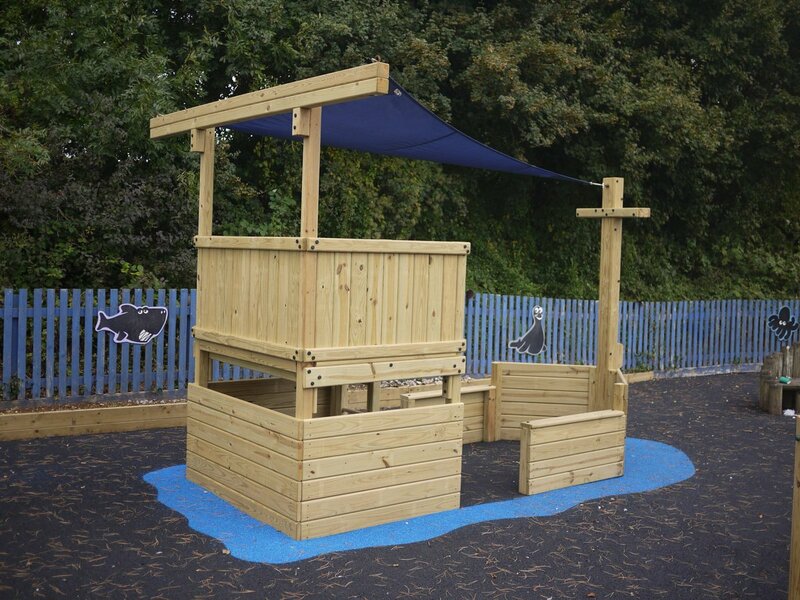 Apart from the ability to cope with more children, there is much more scope for imagination play too: the structure can become a fort, a castle, a ship or a jungle hideout – almost anything. Thats when you need one of our playground bridges. As you can see form the images below there is quire a choice of bridges. The easiest one is teh fixed bridge – a rigid crossing with secure timber handrails which are 800mm high. Or get a little more daring with a wobble bridge where the planks articulate as you walk across. You get a similar effect from our tarzan bridge where the planks are suspended on ropes from the handrails. And finally we have a rope bridge for the most adventurous. Just wanted to express our thanks for a job very well done, and for your installation team who were a pleasure to work with. - A customer in Oxford.